We offer a range of paddock maintenance services including topping, spraying and grass seeding through to complete paddock instatement or repair. Our paddock maintenance service helps to ensure that your paddocks are in the best health providing essential nutrients for livestock. With the ever increasing costs of feed, livestock owners can save money by maximising grazing though careful management and maintenance. Weeds such as buttercups, thistles and moss restrict the growth of grass resulting in poor quality grazing. A soil analysis can identify any nutrient deficits and combined with aeration, over-seeding and correct nutrient applications, the productivity of your grassland can be much improved. Our variety of farming machinery enables us to cater for the growing work load in equestrian paddocks and amenity areas. Rapid Reseeding is a popular service used for reseeding and repairing pasture, a Väderstad Turf Drill and MF compact tractor on turf tyres is used for this operation and enables minimum disruption to your field. No ploughing or cultivating is required, and grazing can be resumed after only a short period. We are able to plant grass seed into existing turf to compliment unproductive, thin or failing grass leys. This may be patching up small areas or reseeding whole fields. The process is a one-pass, one-operation system meaning only one machine goes into the field, passing only once over the ground to complete the job. 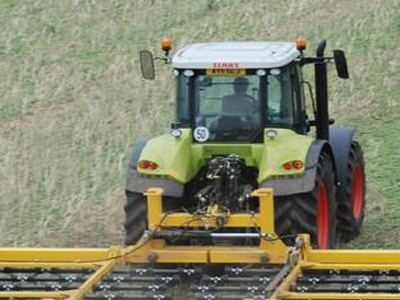 This makes it fast and cost effective as no further cultivations are required. It is a convenient method of improving your pasture, no ploughing or further operations needed, causing minimal disturbance for you and your horse. Although preferable to not graze for a short period it is possible to resume turnout or grazing immediately after reseeding. Rapid Reseeding is an all-inclusive product, we will advise and supply all grass seed types to suit your needs and soil type. We can also supply soil testing as well as fertiliser to improve the pasture's performance. Other seeds are available on request including wild flowers and herb mixtures. 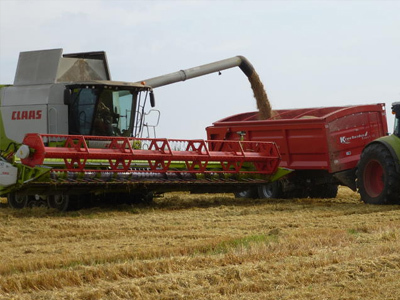 Our range of agricultural machinery allows us to deal with any project, large or small. To improve pastures, stimulate new grass growth and generally tidy field and paddock areas we operate a flail topper to cut and mulch rough areas with a compact tractor on grass tyres. Routine fencing and repairs are available if required. Please contact us for further information. If you are interested in Paddock Maintenance why not give us a call on 01869 338307 or send us an enquiry. "Excellent working relationship for over two decades. Very professional outfit and a great family to get along with. Never the cheapest, but you get what you pay for; well maintained and reliable kit, experienced operators and a job well done! 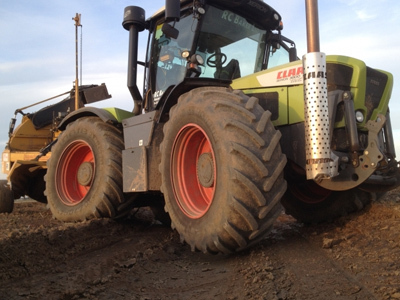 Jobs carried out for us over the years include combining, foraging, direct drilling, irrigation and muck spreading – all of which have been carried out to a high standard. " Established in 1974 RC Baker Ltd is a family run contracting business based near Banbury, Oxfordshire. 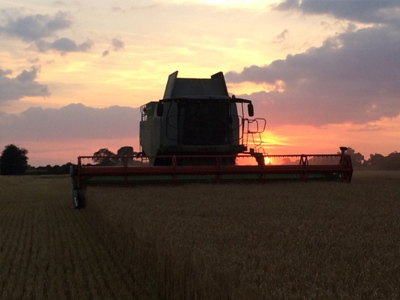 With over 40 years experience in both farming and the use of machinery, we can provide the best agricultural contracting services at competitive prices, which means you can get the job done quickly and efficiently at minimum cost.